Want to get great reverb effects on your bass? Well why not check out the Dr Green Bass verb bass effects pedal. An easy-to-use pedal with enough settings to let you explore different reverb levels, whether you're looking for subtle reverb or big long and dreamy, it's possible by using the straightforward Mix and Depth controls. Dr. Green has designed and built world class guitar amps for over 20 years, and working in the Essex countryside, he brings his guitar FX pedal range in conjunction with Hayden amplifiers. 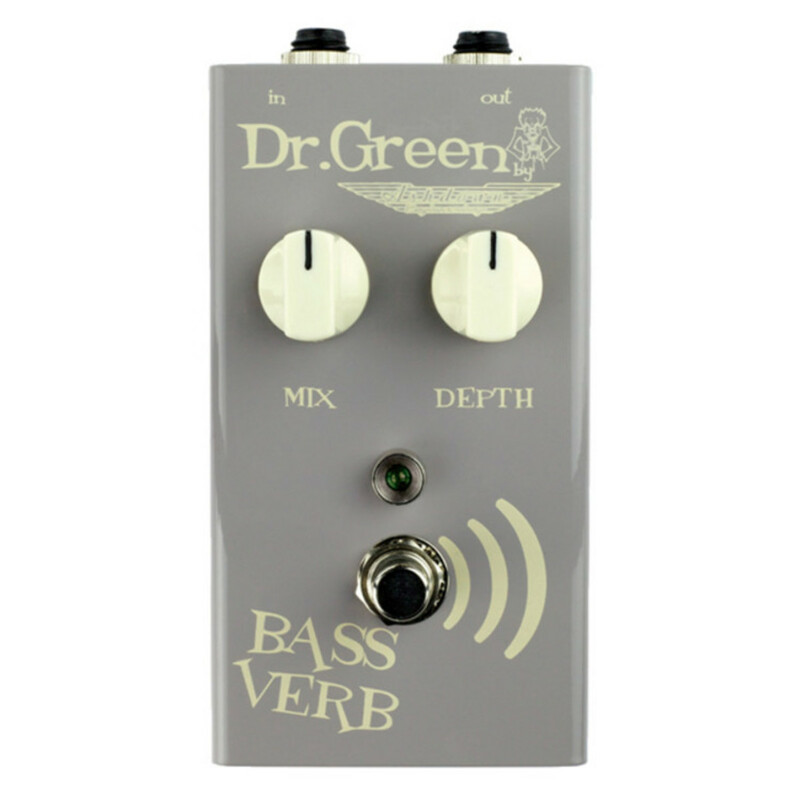 Made with painstaking design, Dr. Green pedals are meant to give guitarists inspiring tone. Dr. Green pedals are constructed using only the finest quality components, built by hand and built to last. Encased in heavy duty custom designed steel boxes and featuring true Bypass, Dr.Green pedals provides fantastic hand-crafted quality.